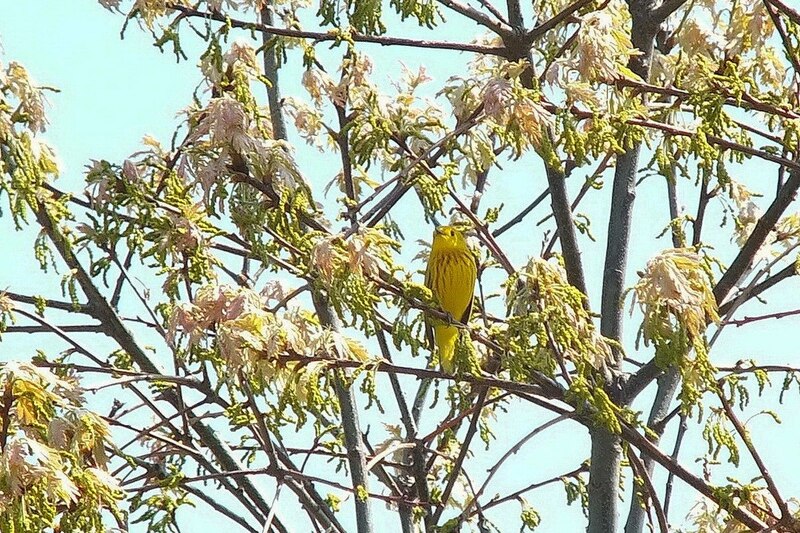 The trees at Second Marsh Wildlife Area were bubbling with melodious birdsong when Bob and I visited there one spring, and when we caught a flicker of yellow in the top of a brightly lit tree, our eyes honed in on a Yellow Warbler (Setophaga petechia). The little male has the trademark chestnut streaking that help make these birds recognizable, and it pleased us that the warbler was singing his song. Second Marsh is an extensive wetland on the northern shore of Lake Ontario, and I love that it offers a variety of habitats wherein to spot bird and animal life. We had a perfect day for our outing with warm sunshine and a refreshing breeze off of the lake. 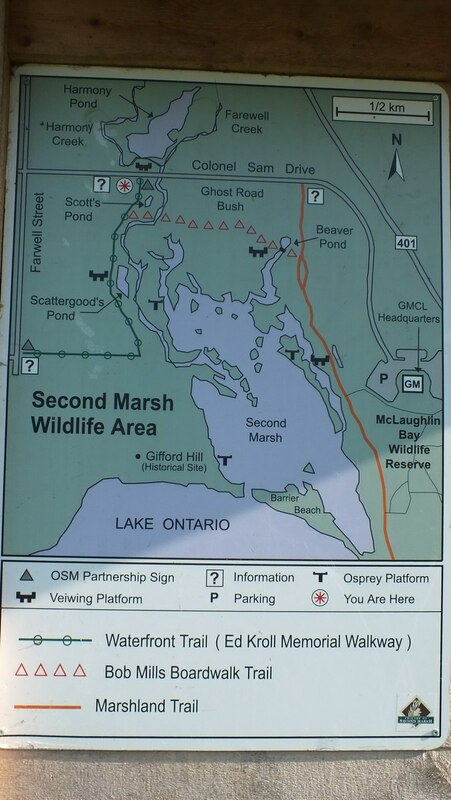 Various trails at Second Marsh Wildlife Area and the adjoining McLaughlin Bay Wildlife Reserve explore the marsh, a swamp, wet forest and a meadow, and all are surrounded by uplands making a wonderful biodiverse ecosystem. 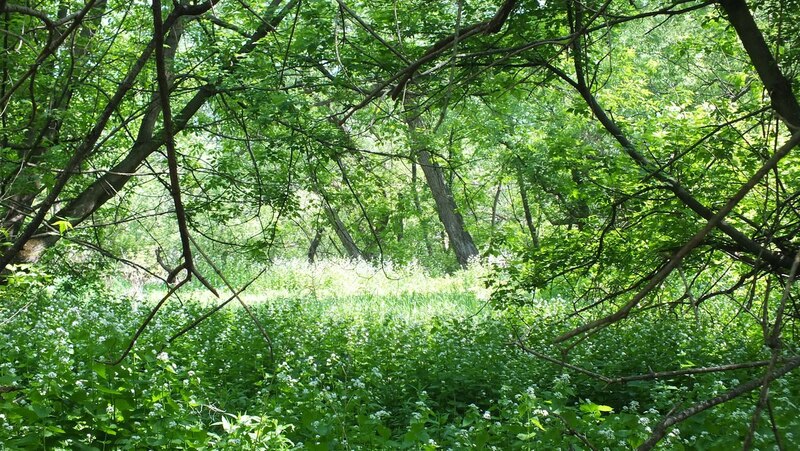 At first, Bob and I meandered along Bob Mill’s Boardwalk that guided us into a lovely forest with shady glens and sunny glades filled with blooming wildflowers. 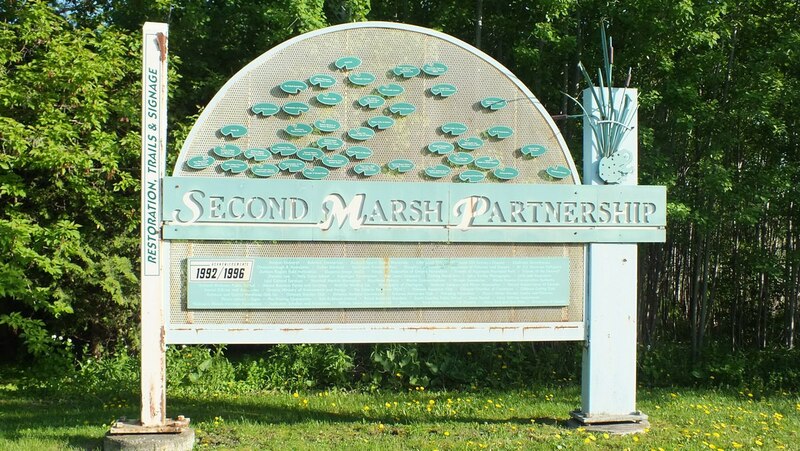 It wasn’t long before we found ourselves on the Marshland Trail that heads south along the edge of Second Marsh. Caught off guard when a female Yellow Warbler landed in a bush beside the trail, I hastened to focus my camera and snap a couple of pictures. 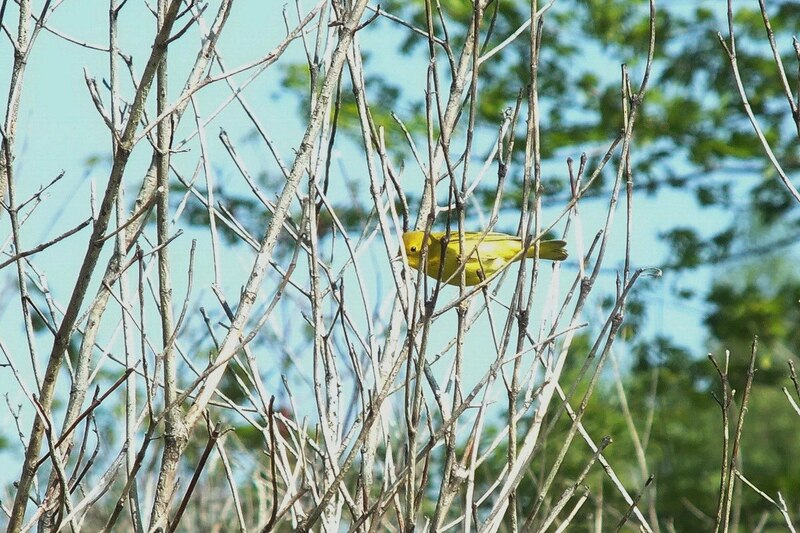 Yellow Warblers breed in shrubby thickets and woods, preferring to be near bodies of water and in wetlands. 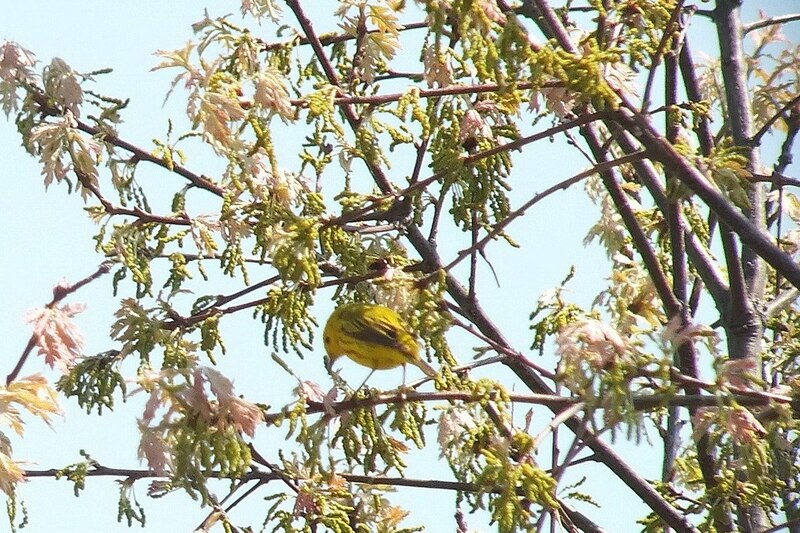 There at Second Marsh are the optimum conditions for these warblers. 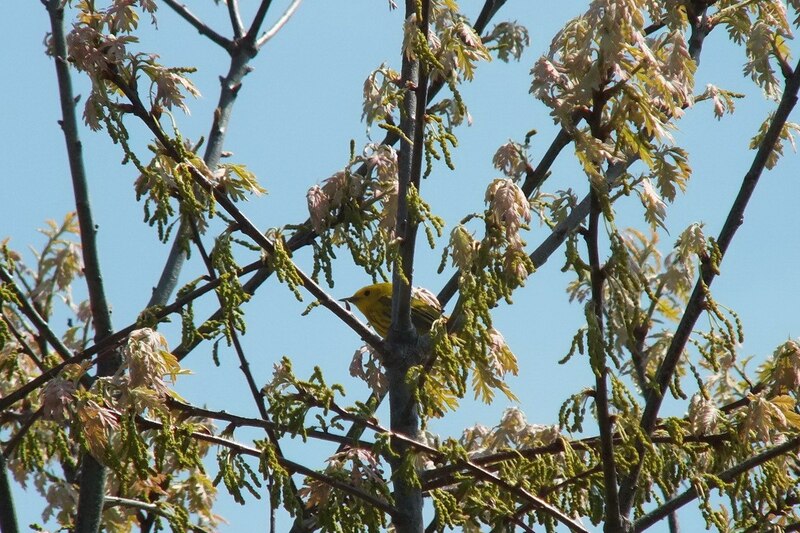 It seemed that numerous Yellow Warblers were occupying the trees, but it was a challenge to locate them with the abundance of heavy new spring growth. Add to that the constant movement of the branches as the breeze ruffled the leaves, and we had our work cut out for us. but did pause every so often to belt out their sweet whistled song from a high perch. 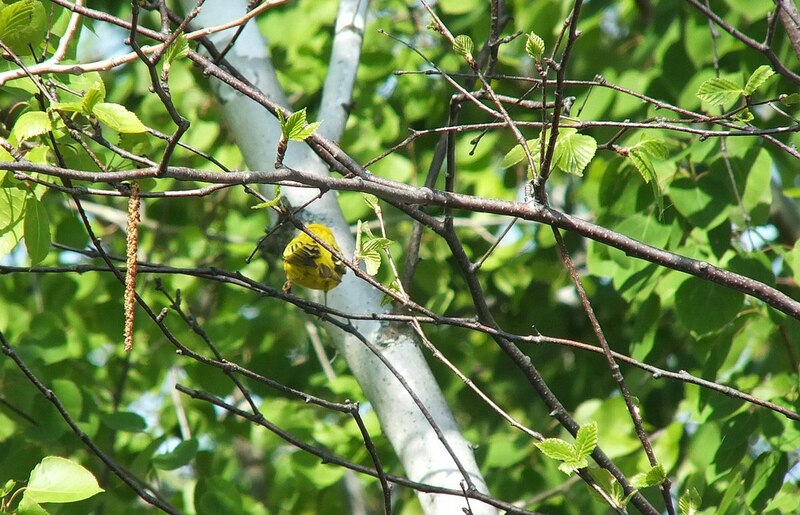 Yellow Warblers do have predators, like all birds do, but it is the parasitic behaviour of the Brown-headed Cowbird that compromises the success rate of these breeding birds. The warbler compensates for that by building a new nest directly on top of the parasitized one, and sometimes ends up with a six-tiered nest. 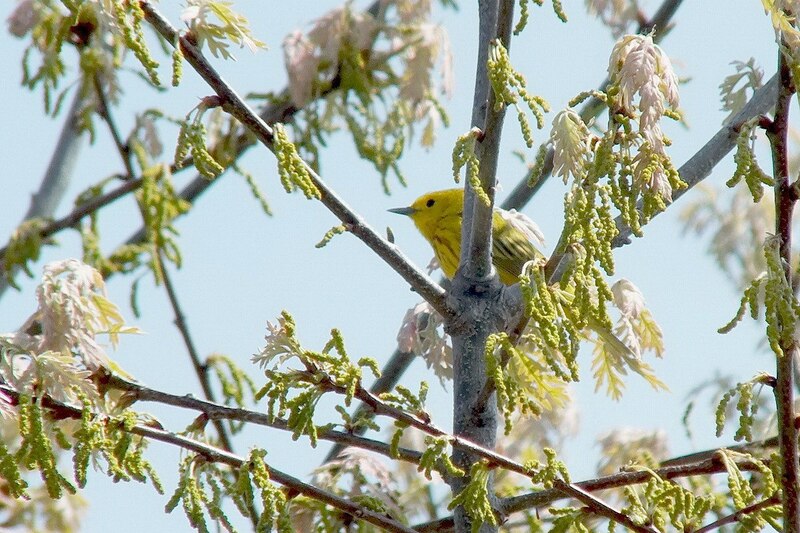 The buttery yellow of the Yellow Warbler’s plumage, combined with a lack of facial markings, serves to highlight the bright black eye. This male will remain in its breeding grounds until at least the early part of July which is when some of them will begin to return to their winter quarters. Most, however, will remain until the end of August. That doesn’t leave long for birdwatchers to enjoy these lovely tiny songbirds.